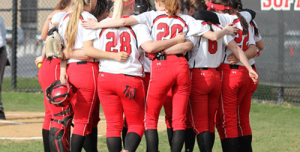 Softball team fundraisers are often needed for new uniforms, equipment, and traveling expenses. With so many fundraisers out there is hard to find the one that works best for you. Typical softball team fundraisers include selling candy or ones that require you to order bulk amounts of the product. Look no further than Giving Bean for the perfect sports team fundraiser. It’s easy and effective with products that people use daily, making them easy to sell. Freshly roasted coffee, artisan tea, and all natural gourmet cocoa, there is something for everyone! We offer step by step instructions, fast shipping and online support to help make the process a breeze. With Giving Bean’s traditional coffee fundraiser you will make 40% as well as 25% from online orders. With anything, participation is key. Assigning each team member a few products to sell will help you easily reach your goals. We also offer free customization of labels that will look great with your team’s logo on them!